Although the poet John Milton was a politically active citizen and polemicist during the English Revolution, little has been written on Milton's concept of nationalism. The first book to examine major aspects of Milton's nationalism in its full complexity and diversity, Early Modern Nationalism and Milton's England features fifteen essays by leading international scholars who illuminate the significance of the nation as a powerful imaginative construct in his writings. Informed by a range of critical methods, the essays examine the diverse - sometimes conflicting - and strained expressions of nationhood and national identity in Milton's writings, to address the literary, ethnic, and civic dimensions of his nationalism. These essays enrich our understanding of the imaginative achievements, religious polemics, and political tensions of Milton's poetry and prose, as well as the impact of his writings in the later seventeenth and early eighteenth centuries. 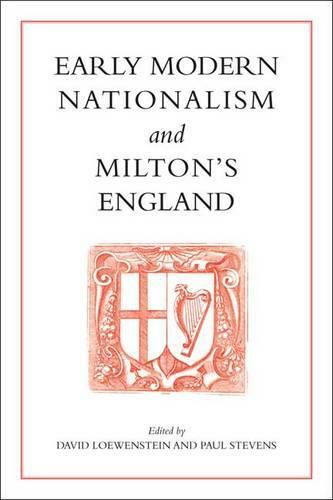 Early Modern Nationalism and Milton's England also illuminates the formation of early-modern nationalism, as well as the complexities of seventeenth-century English politics and religion.